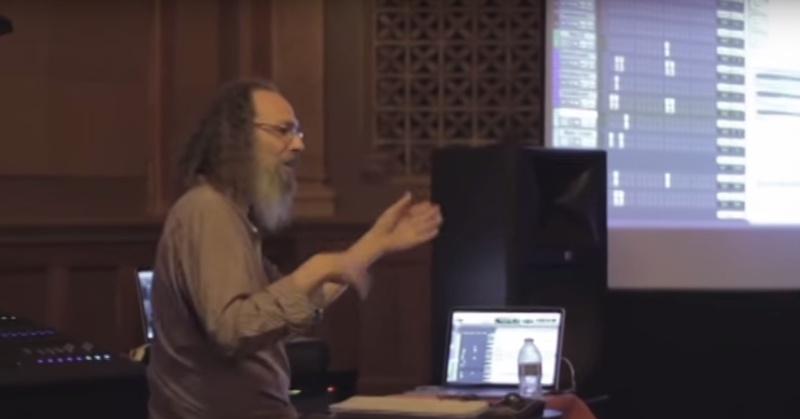 One of the most interesting things I’ve noticed since becoming a full-time mastering engineer is that many artists, band members, and even some recording engineers do not know what mastering really is, what can and can’t be achieved in mastering, and why mastering might be an important part of their project. This article explains how to best prepare your material for mastering, and what to expect afterwards. For more info on what file formats you’ll need from your mastering engineer for various release formats of your finished project, see this article. As a mastering engineer, the most chronic issue I deal with is receiving files to master that are already so loud that very little can be done to improve the audio quality and do a proper mastering job. It’s as if the mix engineer already took the liberty of deciding how loud the masters should be, leaving little to no headroom left to work with. I also, on occasion, receive mixes that are already louder than I would have mastered them. They generally sound quite harsh and blown out with lots of “pumping” and other artifacts. Because of the extreme compression that occurs to make a stereo mix this loud, a mastering engineer can’t simply “turn down” a mix file that is too loud and work on it. Technically, I suppose you could do it, but it’s not nearly the same as getting an unmastered file that has sufficient natural headroom and dynamics to work with. While EQ can sometimes be corrected to a degree, compression and limiting can never really be removed or undone. In my opinion it’s important to give your mastering engineer a file with proper headroom to work with. I think the trend in receiving mix files that are too loud is because more and more people are used to listening to music that is quite loud and compressed. If their mixes don’t have a similar loudness compared to the mastered material they’re comparing their mixes to as they work on them, they may have a hard time believing their mix is good enough until they push it to the same loudness point. Therefore, it’s quite common for mix engineers to apply loudness processing to their working mixes to achieve overall levels comparable to material that has already been mastered. I call this “faux mastering.” While “faux mastering” can be helpful for making final mix decisions, I recommend removing this faux mastering processing before sending your mixes to the final mastering engineer. There are some benefits to having your mix engineer apply some “faux mastering” to the mixes near the end of the mixing stage. One reason is to see how the material will react when pushed to a certain loudness and possibly make some mix adjustments before sending them off for mastering. Of course, it’s advised to remove the “faux mastering” so the mastering engineer has reasonable files to work with. You may find that certain instruments or elements of your mix change slightly when you take a mix with no compression or limiting on the stereo master fader and apply some aggressive compression and/or limiting to achieve more loudness. Drum transients are typically the first element of a mix to be altered when mastering a song up to today’s loudness standards. Because modern digital audio masters are often pushed so loud, the audio is typically slammed into a fixed ceiling known as digital zero. This is also known as 0dBFS which is the maximum possible digital level. When you look at the waveform of a typical unmastered rock song, the drum transients (peaks) are often the loudest and most distinct visual aspect of the waveform. The louder you go with a stereo track in mastering, the more the waveform visually turns into a solid blob and the peaks and transients are less distinct. The peaks are essentially chopped off in order for the body of the music to become louder. Because of this, I find that with a typical song, drums tend to sound slightly quieter after mastering the song to a fairly loud level, and guitars and effects seem louder. Vocal levels can react differently depending on the mix and mastering processing, but I find that vocals tend to stay more or less the same, sometimes becoming slightly lower depending on how loud the master is pushed and how much the drum/guitar ratio is changed. A skilled mastering engineer will find the most appropriate loudness for a song, and also be sure that the mastering doesn’t cause the song to contain any unpleasing artifacts due to the processing and loudness. Compression on a stereo mix during the mix session can be okay but remember that compression cannot be undone, so unless it’s something you are committed to and feel your mix can’t be without, it may be best to leave all stereo master buss/fader compression decisions to the mastering engineer. If compression does end up being applied to a stereo mix and sent to mastering that way, be sure not to add excessive makeup gain to the compressor output causing the signal to reach or exceed 0dBFS (digital zero). 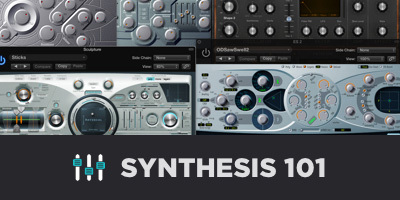 Some plugins can be misleading because they internally prevent digital overs from occurring on material that would otherwise go over digital zero. When this happens, the dynamics and other elements are being changed and the mix will likely be too loud for the mastering engineer to do their best work or effectively use the analog mastering tools that many people decide to use professional mastering engineers and studios for in the first place. When I receive mixes to master that are too loud, I typically do not use my analog mastering EQ and compressor because to use the analog equipment in this situation, I’d have to turn the material down in the digital domain to run through the analog equipment, and then back up again in the digital domain to reach the loudness level that most people desire these days. When material is initially way too loud for the analog gear, the dynamics have usually been compromised so much that any additional processing in the analog domain tends to sound bad. I’ll usually try two or three times to get mixes from a client that are at an appropriate level prior to mastering, but in cases where the files can’t be created or obtained, I usually resort to mastering entirely “in the box,” meaning that no analog equipment is used. This is not automatically a bad thing, but again, you’re not allowing the mastering engineer to use some of the analog tools at their disposal. Basically, you are painting the mastering engineer into a corner leaving little room to work with when sending files that are already extremely loud. I don’t want to get into a debate about whether analog or digital sounds better. I have an ever-growing collection of plugins that I think sound great and wouldn’t want to be without, but one thing that can’t be achieved when working with only plugins is a common technique in modern mastering known as clipping the input of the analog to digital converter. A popular way for mastering engineers to achieve loudness is to clip or overload the input of a high quality analog to digital audio converter. When this is done skillfully, tastefully, and successfully, it’s considered by many mastering engineers, including myself, to be a good way to achieve loudness in a way that software plugins can’t always achieve. I think plugins can be great for EQ, compression, tape simulation, and other processing. But in my opinion, nothing that compares to the sound of clipping the input of my analog to digital converter. It has a character that works well for many styles of music these days. I would certainly not use this technique on folk, jazz, a cappella, or other more delicate genres, but for most rock, pop, and other modern forms of music it can be useful. Regardless of whether the mastering engineer uses all software plug-ins, or a combination of plugins and analog equipment, leaving the mastering engineer with proper headroom to work with allows for them to do a complete and thorough mastering job. There’s no official standard for how much headroom to leave for mastering, but my personal preference is to have a mix that has no dynamics/loudness processing on the master fader, and does not reach or exceed digital zero at any point. If these two things are true, and there isn’t a plugin or setting within your DAW that is preventing the material from going over digital zero when it otherwise would, your mix should have plenty of headroom for mastering. Even just cutting frequencies using an EQ plugin on a file that is maxed out to digital zero can cause it to go over 0dBFS, so leaving some headroom to work with is important. Many plugins sound their best when they have some breathing room and aren’t passing extremely loud audio, which is yet another reason to leave some headroom for your mastering engineer. One thing that usually works well is I’ll often ask for both the “faux masters” that the band or client has approved and been listening to, as well as 24-bit versions of the mixes with no stereo buss loudness processing. The pre-masters with possible “faux mastering” allow me to hear roughly what the artist/producer/engineer is aiming for, but starting from scratch using the versions with no loudness processing allows me to utilize all possible analog and digital tools as needed, and not be stuck with some limiting and compression artifacts that can’t be undone. Occasionally I get files to master that already sound great and need very little work, so I may just work digitally “in the box” with the “faux mastered” versions, but most of the time I end up starting with the 24-bit versions with no stereo buss processing. Another issue that I’m seeing and hearing more and more of are unwanted clicks and pops in the mixes. Sometimes these clicks, pops, and other noises are not easy to hear until the material is mastered louder. Loud mastering processing tends to make quiet noises more apparent. These noises can be clicks and pops from bad edits, or mouth sounds that occur in the vocal recordings that become increasingly louder due to heavy compression used in recording and mixing. I suggest doing some very careful and attentive listening to make sure there are no unwanted noises or sounds in any intros, outros, or quiet passages of the material. I find that most of the noises come from the vocal track(s), so listening to the isolated vocals and doing some cleanup between phrases can be very helpful. All multitracks are capable of producing unwanted noise, but vocals seem especially susceptible to unwanted noises and sounds. Headphones are great for checking for unwanted noises. I did a project recently where after the song was mastered and louder than the raw mix, the client could hear some hiss and headphone bleed in the lead section where there was not any singing. He went back and looked at his mix session and sure enough the vocal track was not trimmed and cleaned up properly, producing some unwanted noise in the lead section which became audible by the time the song was mastered. He had to correct that in his mix session and send me a new mix to remaster through the analog gear, which as I mention later in the article, is not usually a quick easy fix and is often subject to some extra costs from your mastering engineer. There are some incredible tools out there now for mastering engineers to remove clicks, pops, and other noises but removing these at the source in the mix is usually far more effective and also considered best practice so that any processing to fix these noises is only applied to the problematic tracks in those precise places where the noises occur, rather than across the entire mix by the mastering engineer. Don’t trim noise before and after songs. I’ve noticed that many engineers will be overly concerned about noise before or after a song and trim it off. They think they’re doing themselves and the mastering engineer a favor by trimming it up. It’s actually detrimental to the project in some cases to do this. This is because the most effective way to use noise reduction software to eliminate unwanted equipment noise or tape hiss is to have a nice clear sample of just the noise for a second or two (the more the merrier) with no music playing. When I have a nice clear noise sample to work with, I can easily and transparently remove unwanted noise or hiss from certain parts of songs where the noise is too noticeable. Those parts tend to be at the start, end, or quiet section of a song. It’s usually most problematic when songs have some type of gradual fade in, quiet intro, or long decay of the final note that fades down into the noise floor of a song. Even if you trim the noise before the song starts, the noise may still be audible in the beginning if the song doesn’t have a loud start. By trimming that noise, you’ve made it nearly impossible for the mastering engineer to apply some useful noise reduction to problematic parts of the song. Often times, noise can go undetected or not be a problem until the song is mastered significantly louder. This is because the amount of compression and limiting used to master music these days causes the noise floor of a song to be much higher than it would be naturally. Noise that doesn’t seem to be a problem or even noticeable on a quiet unmastered song can become a major problem after the song is mastered if it’s not properly treated. Of course the noise would ideally be avoided in the recording and mix process, but should you end up with noise in any parts of your final mix, leave a nice clear sample of only the noise before or after the song on your stereo mix file for the mastering engineer to sample and work with. Attempting to trim the noise by doing a quick unnatural fade out usually sounds too obvious, and will still contain some noise at the very end if you listen carefully. Again, by fading and trimming that noise, you’ve made it nearly impossible for the mastering engineer to apply some useful noise reduction. When mastering using analog equipment, the mastering engineer will be re-trimming the beginning and end of your material anyway after they digitally capture the material from their analog equipment. Leaving some extra dead air with a sample of your noise floor before and after the song is usually not a big deal to the mastering engineer, and is sometimes preferred, especially if noise reduction needs to be done. After I capture the material from the analog gear, I carefully trim up the heads and tails of songs to be sure that each song has a natural start and end and that any noise that is present is something that the client intended to be there. If there is noise that needs to be reduced I can easily do this with a few seconds of a noise sample left before or after the song. Another recurring issue I see from having mix files trimmed too aggressively is when a song’s decay cuts off abruptly and unnaturally. It doesn’t sound like it would be a common issue, but it is. I’m guessing it’s due to inattentive listening to the final seconds of a mix file, but I receive plenty of songs to master where the file just abruptly ends before an instrument or reverb tail is fully finished. If it’s a major problem I’ll ask for a new mix file. If I’m in the middle of a project and can’t realistically wait for a new mix file, sometimes I can create an artificial tail using a reverb at just the tail end to replicate a natural decay. This is usually only done when a new file can’t be obtained, or the missing tail is relatively minor. You can avoid any of this by making sure that your final mixes and bounces do not get cut off before the final decay naturally ends. It’s much easier for a mastering engineer to do a tapered fade out of what’s there, than to try to make up something that isn’t there at all. Another thing you can do to help your mastering engineer is to either remove any unwanted count-ins, talking, or other noises that you don’t want included on a song. At the very least, include notes about what should be removed and what should be kept. I appreciate not having to guess what should be left in or cut out. I’ve left things in that people assume I would have cut out, and I’ve cut out a few things that seemed like nonsense that clients purposely left in and wanted me to put back. In today’s digital world, it’s usually not hard to remove or retrieve little things like this, but as a mastering engineer I appreciate as many notes about cutting or leaving stick clicks, count-ins and other questionable stuff before or after songs to minimize making and sending revisions. 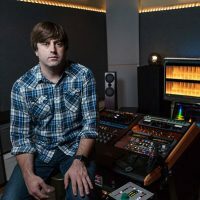 When working with a mastering engineer that uses analog equipment, it’s important to be sure you’re 100% happy with your mixes before sending them off for mastering, because providing a new mix of a song to be mastered means that the material must be re-processed through the analog equipment. This is a real-time process and is also not always 100% recallable as far as the equipment settings go. Many mastering engineers charge extra for sending remixes because it’s not that easy or quick to remaster a new mix of a song when analog gear is involved, no matter how small of a change is made to the mix. Now that video is easier than ever to create and distribute, the demand for instrumental masters continues to increase because of licensing opportunities for music in TV shows, movies, and other video content. Do yourself and your mastering engineer a favor and supply instrumental mixes at the same time as the main mastering session if you think there is any chance of ever needing or wanting instrumental versions of your songs. This is especially true if your mastering engineer uses analog equipment during any point of their mastering process. It’s quite easy to master an instrumental version of a song at the same time as the main version, but having to go back and process instrumental versions at a later time can be rather time consuming and the analog gear settings will never match the settings 100%. Now and then I have clients email me months later assuming they can send me instrumental versions of the songs to master at no additional charge. In most cases, additional charges will apply for doing instrumental masters, especially if it comes up after the main mastering session. Save yourself some time and money by doing the instrumental masters at the same time as the main mastering session. I’ve experienced cases where some clients simply expect too much from mastering. A classic case is a band that I had worked with a few times over the years. I went from recording and mixing their albums years ago, to just mixing and mastering, to eventually just mastering their latest album. After I mastered their latest album which I believe they recorded on their own and had it mixed by another friend/engineer, they were not totally happy with the results. In particular, they expected the drums to be much more punchy and aggressive sounding. After some discussion about it, it seems that what they liked about the albums I had mixed, was the way I augmented their real drums with drum samples. The drums on the older albums sounded crisp, powerful, yet natural enough. They were expecting this to be achieved in the mastering process on their latest album. There are subtle things that can be done in mastering to shape drum tones and intensity, but transforming some drums that were mediocrely played and recorded into something that sounds like a modern Green Day album, for example, is just not going to happen in mastering. That would be more of a mixing achievement. Much of what they liked about the drum sounds on their earlier albums was how drum samples were carefully layered in with the real drums to make for a consistently powerful drum sound. The band mistakenly expected that to happen in mastering when it really should have been achieved in the mixing (and recording) stage. Here’s another example of clients being confused about what can be done in mastering. One of the mastering notes I received requested that I add some delay and reverb to the the backing vocals. This set off a red flag that I should contact the client to make sure they know what mastering really is. Depending on how the song was mixed, and it’s content, there potentially (but not likely) could have been a way to add delay to the backing vocals with some creative mid/side processing, but it’s definitely not normal or realistic to ask your mastering engineer to add reverb and delay effects to only certain instruments or mix elements. If you’re unhappy with something in your mix, it’s likely that you’ll be unhappy or at least not fully satisfied with it after mastering. Mastering is more about sweetening what’s already there, and not trying to save a poor sounding mix or song, or give it a certain style. This is especially true if the problems are more performance-related opposed to just sonic problems. Another often overlooked and ever increasingly important part of the mastering process is properly adding and verifying metadata and CD-Text on master files for online distribution as well as CD masters (usually a DDP image). Managing metadata and quality control of final masters is a big part of the mastering process that some people don’t even think about. Nobody wants to encounter a delay or receive hundreds or thousands of defective CDs or vinyl records. Don’t assume that the mastering engineer knows the song order and proper titles, album title, and artist name for your project. I have a form on my website that allows my clients to submit all the necessary project info so I have it all before getting started. Other mastering engineers may need you to send this info in an email or include a text document. Often times, the audio files that mastering engineers receive are not named very well. It’s rare to receive files that are already named perfectly, and it’s even more rare to receive the files with proper numeric prefix to keep them in the correct order. Aside from that, it’s important to know the album or project title and proper spelling of the artist/band name before getting started to avoid confusion and stay organized. Artist Name, Album Title, Song Order With Exact Titles (including punctuation and capitalization), ISRC codes (if available), and any special notes about transitions between songs or other potentially important info. If any song titles are significantly different than the name of the mix file, leave a special note explaining this to avoid confusion. Also, avoid sending a zip file or folder of files named only “files for mastering”. Your mastering engineer likely handles several projects a week involving “files for mastering”. Do your mastering engineer a favor and title the folder or zip file with the band or artist name, as well as a version number or date code to help clarify. It’s not hard to change the song order on an existing master if needed, but I find it very useful to have a solid starting point regarding the song order before getting started. It’s also not hard to change any titles if needed, but your mastering engineer will appreciate not having to remake master files and upload them just because you failed to supply the correct info in the first place. Understand ISRC codes. ISRC codes are assigned to songs, giving them a globally recognized identity allowing you to get paid royalties for various usages of your music. Some mastering studios can generate ISRC codes for you. You can also obtain your own ISRC codes via the ISRC website, and your online distributor will assign ISRC codes for you if you don’t already have them. It takes a bit of pre-planning to be sure you have ISRC codes on your pressed CDs because that usually happens a few weeks before the online distribution is setup. At that point, it’s usually too late to go back and add the ISRC codes to your CD master. I’ve had many cases where clients don’t think about ISRC codes until the DDP image for CD pressing has already been uploaded to the CD manufacturer and the manufacturing has begun. ISRC codes are necessary to sell your individual tracks via iTunes and other online music distributors. They are also required for any songs that you plan to offer for streaming on Spotify and other streaming services. ISRC codes are not required to be on a master for CD pressing, but you probably want to add them if you plan to have them for other release formats like iTunes and Spotify. You will then use the same codes when you setup your online distribution. 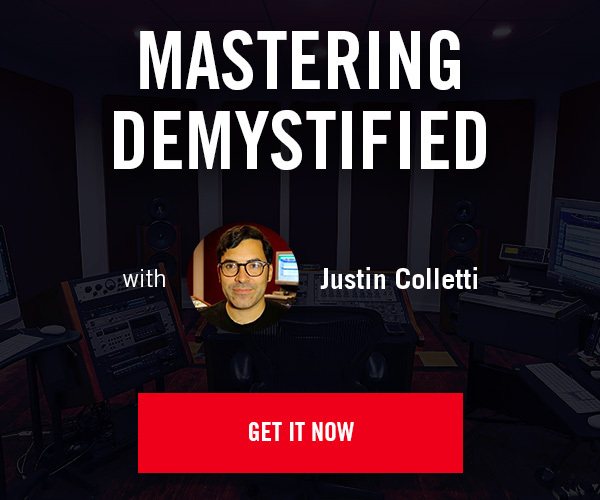 Your mastering engineer doesn’t need your album cover artwork unless you’d like them to supply you with tagged AAC, mp3, or other files that support artwork. CD masters (DDP or physical CD-R) can’t contain artwork. WAV and AIFF files can contain artwork but most audio players can’t read artwork in WAV and AIFF files at this time. Educating clients on what file formats are used for various distribution methods is also a significant part of the job, especially if your name is going on it. You’ll want to be sure that a client uses the proper files for submitting to various online distribution services, as well as CD and vinyl manufacturing. I’ve had clients inquire about whether it’s okay to convert MP3s to WAV files to submit for online distribution. This is obviously a bad idea that some people wouldn’t think twice about doing and is a great example of why it’s important to be pro-active in informing clients about what formats they need for their master files. From time to time a client will ask me to listen to their mixes-in-progress and offer feedback on what can be better within the mix before they send it off for mastering. A common thing I hear is lack of panning on things that would otherwise sound good panned. This is especially true with less experienced engineers, but a lot of times I’ll get mixes for mastering or consulting that sound very mono. Mono can be nice for certain styles and motifs, but an easy way to get a big sounding rock mix is to double (at minimum) your guitar tracks and pan them rather wide. It’s true that some stereo widening can be done in the mastering processing. I don’t like to do a lot of it, but it’s harder to do any widening if things are quite mono to begin with. My point here is don’t be afraid to do some wide/hard panning of doubled guitars and other things that typically sound good in that fashion. Any wide spatial and panning desires should ideally be accomplished in mixing. Another thing that I find myself battling often in mastering is vocal sibilance. What seems like a normal amount of sibilance can get a bit harsh and piercing sounding after mastering in some situations. Thanks to multi-band mid/side mastering processing, it’s often possible to hone in and tame some sibilance on lead vocals that are only in the center channel without affecting the high frequencies in the side channels (usually cymbals and guitars) in the mastering process, but it’s definitely easier and more effective to manage sibilance in the mixing stage. Some vocalists produce more sibilance than others, and microphone placement and equipment settings can easily exaggerate sibilance making it very harsh sounding. Ideally, some de-essing will be done to the vocal tracks themselves that are producing some potentially problematic sibilance. When the mastering process is done, archive all your available master files in more than one place. Physical and cloud data storage is extremely affordable these days. Storing mastered stereo files doesn’t take up a lot of space compared to storing an entire Pro Tools or multi-track session of a song. While I keep good archives of the projects I master, and can retrieve nearly anything within minutes, I have to say that it’s not fun getting those emails from clients from months or years ago that didn’t keep track of their masters and are wondering if I still have it. It’s in your best interest to keep track of your mastered files in case your mastering engineer either goes missing, doesn’t keep your project archived for a long period of time, or has a malfunction with their data storage system used for archiving old projects. What to archive can be a little tricky, but archive your project in as many practical formats as you can. Aside from archiving a DDP image and 16-bit WAV files of your masters, you may also want to consider asking your mastering engineer for 24-bit versions of your masters and at a higher sample rate than 44.1k, if available. Right now, 16-bit/44.1k is probably the most common format you’ll need your masters in for both CD manufacturing and online distribution, but archiving 24-bit/high sample rate versions of your masters will likely future proof your masters for a few decades. As Internet speed and bandwidth increases, there’s more and more pressure on Apple and others to offer high resolution versions of songs in the iTunes Store and other online stores. You’ll want to be able to easily have access to these at some point in time. Some sites like Bandcamp and Soundcloud already support uploading these higher resolution files as well as letting customers and users download the high resolution versions if they desire. Either way, archiving as much as you can will likely make things easier for you in the future if you need to release or re-release your project in a future, yet to be invented format or method. As with any file backup, I suggest having at least two copies of everything.